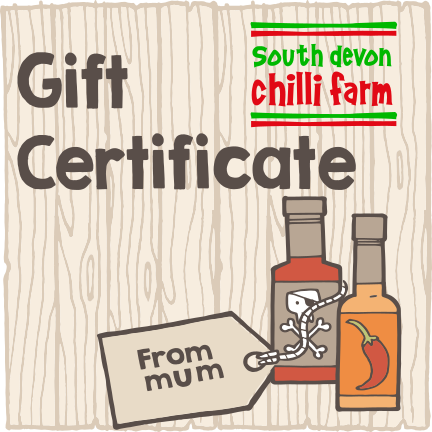 If you are not sure what to buy for the chilli-fan you know, a gift certificate may be just the thing. We can send these by email or post with your personal message. Gift certificates can be used on our web site or in our shop and cafe when visiting the farm. Click here to buy a certificate.